France said Friday it has approved increased fishing of tiger and bull sharks in the marine reserve of its African island territory of Reunion after a teenage surf star was killed. 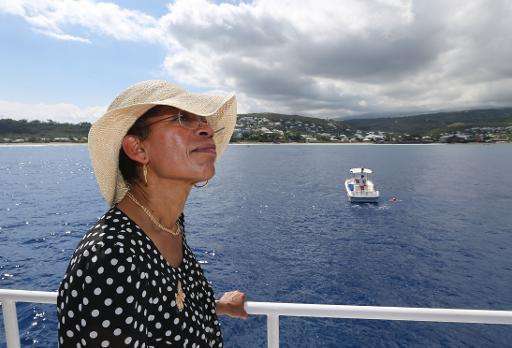 Visiting the Indian Ocean island, the minister for overseas territories, George Pau-Langevin, said the government was launching eight initiatives to reduce shark attacks following the death of 13-year-old Elio Canestri on April 12. The plans include increased surveillance and protection nets, as well as a 50 percent boost in authorised shark-fishing trips. "In no way does this mean eradication—that is unrealistic and would be contrary to France's commitments to biodiversity," said Pau-Langevin. The government said it will also boost funding to scientific projects aimed at monitoring shark movements and populations around Reunion, which lies off the coast of Madagascar. 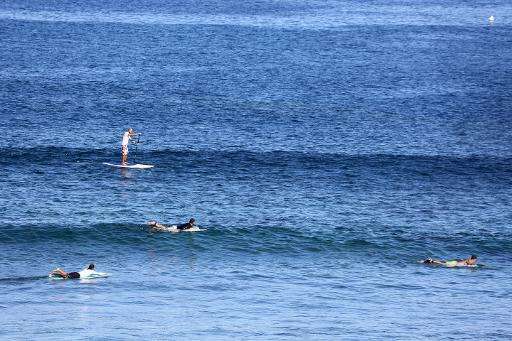 Canestri, one of the island's most promising young surfers, ignored an official ban on swimming in the east coast area of Cap Homard and went surfing with friends. He left a note for his mother saying "don't worry", but was dragged off his surfboard by a 2.5 metre (eight feet) bull shark. He was the seventh person to be killed by a shark following a resurgence in attacks since 2011. Once a mecca for the sport, Reunion has seen the number of licensed surfers fall from 1,600 to 400 since bodyboard champion Mathieu Schiller was killed in 2011, and the number of surf schools drop from 14 to one. Two hundred mourners went to the government office following Canestri's funeral last week and tipped red paint on the road to protest against the lack of official action. Since 2013 when another leading local surfer Fabien Bujon had his hand and right foot torn off by a shark, the authorities have banned swimming and water sports outside of monitored areas.